The PapierLogik project aims for producing Research & Development upon an old low-tech media used as a new high-tech resource for enabling simple, sustainable, long-term and widely viable technologies using equally available and affordable resources for anynone's need! 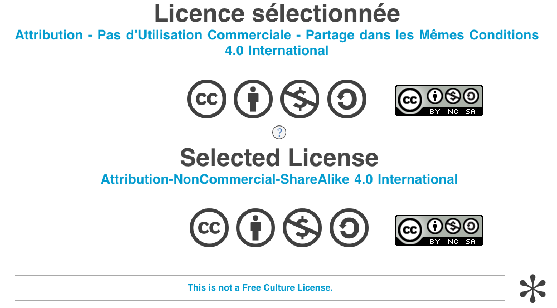 Open Source and DIY communities sharing equivalent objectives have proposed and use open international standard procédures for officially claiming for such initiatives regarding copyrights properties. The PapierLogik project and the PapierLogik website provide public, limited and private access to a variety of content and IP from its researchers, maintainers, members, users and visitors. Every pages are labelled with specific Icons specifying how its content can be re-used or transformed. Editorial contents available over the public areas of the Papier Logik website, such as texts and photos, are mostly released as Creative Commons AttributionShareAlike 4.0. This means you can use them on your own derived works, in part or completely, as long as you also adopt the same license and you quote your sources using equivalent rights protection standards. This is why we warmly thanks editors from the Arduino Website for providing us an inspiring template for producing this page. You can find the complete text of the license here. 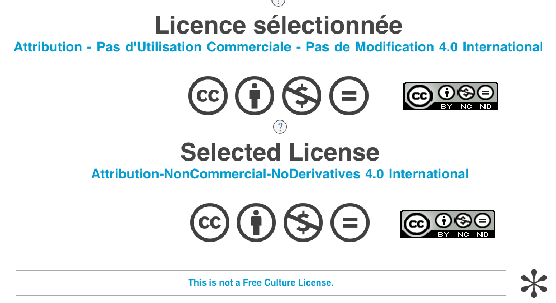 When the Editorial content of some page is subjected to limitations requested by the project missions or by a user owning the page, the Creative Commons AttributionShareAlike 4.0 icons will indicate limitations upon the right for the public. Each of these limitations can be argued and justified by the project coordinators and can be negociated on request for sustainable developments. For more information, please contact rodolphe.koehly@papierlogik.com. The Papier Logik is supported by french and canadian professionnls in IP so as to protect its value as well as its values! Part of the project's incomes are then used to cover the costs for preserving the project's goals and gets juridic support from internationnal universities in France and Canada who funded the original research since 2003. For information and more details about Papier Logik IP and Commercial Development, please contact rodolphe.koehly@papierlogik.com. They will only share the content they make willingly left public. This can easilly be prevented or limitted by selecting the appropriate option i when Editing a personnal page. They will thus comply with the CC4.0 standards mentionned above for the whole public website areas. Commercial products developped by PapierLogik and available at this website or through our distributors and affiliated partners are are released as Creative Commons AttributionShareAlike 4.0 International. This standard in close to the 4.0 standard, except regarding commercial and trade developments: our goal being to provide sustainable resources, it is impossible to hope for a better future by leaving this project and its technologies free from any other constraint than monetarry profits. We then aim to discourage here low and high-level investers who are not play the rules of sustainability to foget about us until they do,. We then warmly welcome confident angel investors and good-will associates who will bet on enabling low-risks high-tech and long-term viable futures for motivated learners and DIY Makers. For information and more details about investing in Papier Logik or Developing Commercial Benefits from PapierLogik's resources, please contact rodolphe.koehly@papierlogik.com. PapierLogik® brands and logos published in the website are Trademarks of the PLK Research Institute. To the extent a brand, name or logo does not appear on the website does not constitute a waiver of any and all intellectual property rights that PLK has established in any of its product or service names or logos. All PLK Trademarks cannot be used without owner’s formal permission and unofficial development so as to warrant sustainable achievements when using these. For information and more details about the proper use of our trademarks, please contact rodolphe.koehly@papierlogik.com.